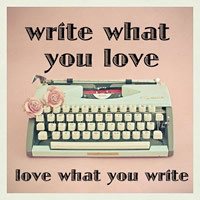 To Write What You Know Or What You Love To Read? Can I Do Both? 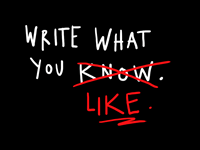 I think everyone has heard the phrase that one should write what they know. But when it comes to fiction – that can be a tall order. How would we read genres like fantasy and science fiction? Then there is the problem of what if you don’t know anything interesting? I cannot believe any writer would say this, because by nature we are observers and real life is much more bizarre than fiction (hello, mine! ), but I have to put it out there since many a student would make such a statement in a heartbeat. There is another phrase I have been hearing a lot in books that I have read on publishing, research and just out there which I think makes a lot of sense: Write what you love to read. Of course my problem is I don’t do this second thing. All right, let me back up. I love to read nearly everything, so yes I write what I love to read because unless it is gratuitous violence or nothing but hate speech, I will love it. But I don’t write my favorite kind of books. I have never tried and have never had any truly inspired ideas to push me to try. My first love of books to read will always be thrillers. The kind you can’t put down because you have to know what happens next, who the killer is, what mysterious element from the past you don’t know yet, but will soon discover. Who is going to be the killer’s next victim? I want the kind of story that makes me want to lock my bedroom door and demand that my husband not go to sleep until I have fallen asleep (oh yes, I have made such demands before for this very reason). Of course it helps if the book has a strong female protagonist who doesn’t take any crap or play the victim, but I will take a fantastic thriller with a male protagonist over a mediocre thriller with a female protagonist any day of the week – so it is not necessary. I have never tried to write a thriller and to be honest I have only had two ideas for thrillers of any kind (one paranormal, one not) but neither idea has ever been explored and fleshed out. 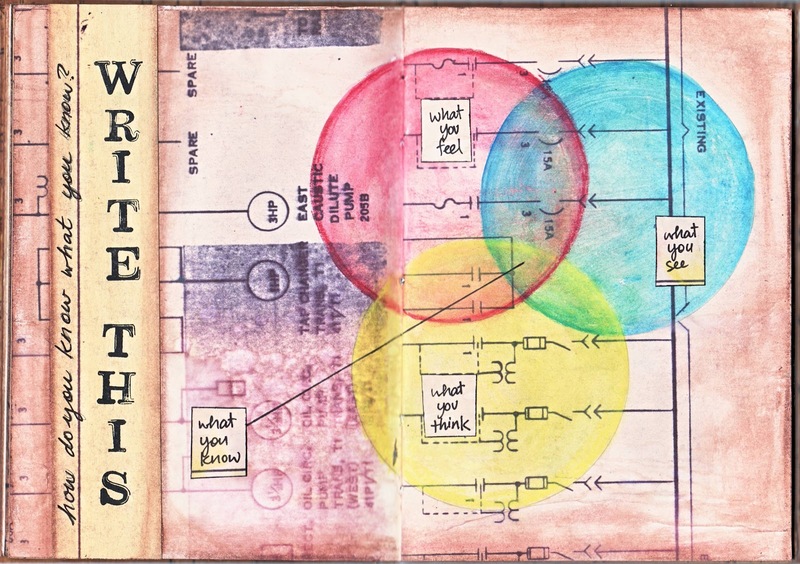 So they are really tiny glimmers of inspiration when I already have too many ‘Write me! Write me NOW!’ ideas that are ready and waiting. I have written more fiction than I have nonfiction, but my fiction always has some kind of social element. I have written about homelessness, hate crimes, unrequited love, gender roles, loneliness and desperately seeking connection to someone else, medical drama (yes, fiction! ), child abuse, domestic violence, internalized homophobia, discrimination and sexism. I love to write stories that are character driven where they might have these topics in the story, but the story is really the human experience of someone who is homeless or being abused or… well you get the idea. I like to look at it from all sides, which is part of the challenge: trying to emphasize the human in human monsters, which often makes me feel the need to shower and scrub my skin raw. I write these things because the first rule works for me, I am writing what I know. Every piece of fiction comes from a grain of real life – something I have experienced or witnessed firsthand. When it comes to my manuscript and the two other books that are burning to be written as we speak, they are all nonfiction. So, again I am writing what I know (and in this case I am not bothering to change names to protect the guilty 😉 ). I would love to write a thriller and to be so prolific that I can come up with at least one, if not more, every year. The kinds of thrillers that make you think I must lead a deeply disturbed life. I want a franchise, like The Hunger Games or Harry Potter, but not ones focused on adolescence or fantasy (but then again who knows). This brings me to my second desire, which does not need to be related to my first desire. I would love to do something serial. I wrote and plotted out a television drama series in college. I wrote hundreds of pages of character biographies, episode summaries, including specific lines, songs for montages, etc. But then there is the issue of network TV. I don’t live in Los Angeles, and I do not have any desire to. I don’t have Hollywood or studio connections and I don’t have any television writing experience on my resume. So the chances of this serial entering the wonderful world of television is slim to none. Then factor in that the controversial and ‘never-been-done-before’ story arcs are ten years old and chances are they have since been done or will be done, if I ever get to that place. Still, I have no idea how I would begin to convert the series into a book series because so many of my ideas were rooted in strong visual elements, facial tics, montages scene-by-scene etc. and when I think this I wonder if deserve to call myself a real writer. I know I have enough ideas to work on now, a manuscript that is already all-consuming and if I am too busy to handle all of the ideas I already have and finish polishing the manuscript at hand, how can I be considering taking on more? Why do I feel this need to write the kind of books I crave above all else and why does it bother me that I don’t? It does bother me – that I never have and wonder if I ever will. I want to write thriller and suspense: a mystery that truly packs a wallop of a surprise at the end. I want to write a series that follows a group of people as they grow, live, learn, love and lose. I want readers to see these people and fall in love with them, to feel frustrated when they stumble, hurt as they grieve, excited as they fall in love and happy when they make it to where they are supposed to be, with who they are supposed to be with. I just noticed that the things I want to write the most coincide with my guilty pleasure reads: Confessions Of A Bookaholic: My Guilty Pleasure Reads. How did I miss that before? If you have anything to say, suggest or opinions to my questions (I don’t believe in rhetorical questions as a rule) please leave a comment. I will surely appreciate it! This entry was posted in Writers, Writing and tagged "what you know", "what you love", Books, fiction, Franchise, Nonfiction, reading, Serial, Thriller. Bookmark the permalink.